After the surprise start for Neuvirth, who has yet to get a CBBall nickname, Tommy V will get the start. 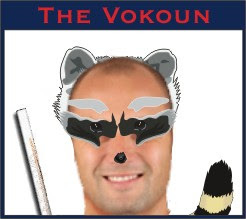 I have decided I am gonna call him The Vokoun for the foreseeable future, as well as Tommy V.
The Vokoun is a pest. He bothers everyone on the other team. 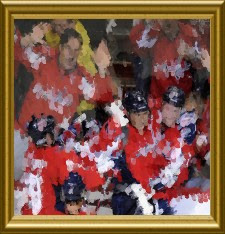 You can try to shoe him away from the net, but he isn't going anywhere. He sorts through all the garbage that the other teams throw at him. 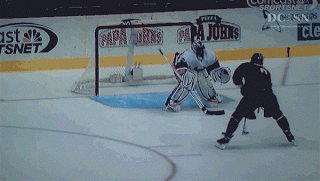 Just like a raccoon he is a thief, stealing away all the Goals from unsuspecting forwards & defensemen. 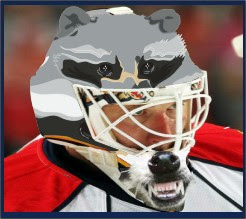 I think we need to get him a sweet goalie mask with a raccoon on it. Maybe one that isn't the worst photoshop job of all time.